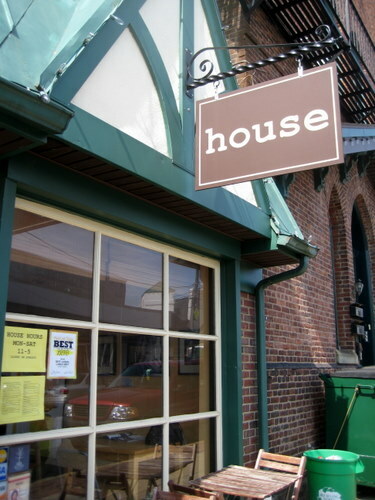 On my second day of jury duty, I took a quick walk to lunch on some soup and a sandwich at House. Look how cute this place is! I couldn’t resist going into a place that also shares the name of my favorite TV show about an ornery curmudgeon doctor. This was the corn and bell pepper soup, which was the soup of the day. Oh my word, this was delicious. It kind of looks awful, but it’s amazingly sweet and delicious. It’s chunky and coarse, but in a good way. The corn flavor is super strong and it’s just incredibly hearty. 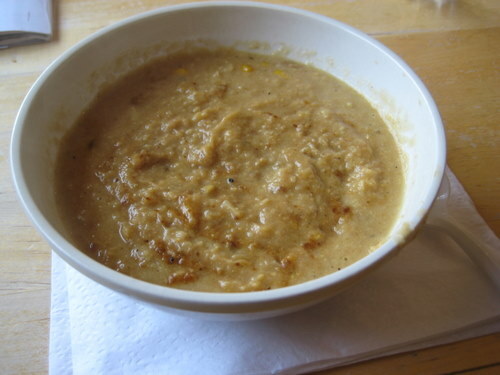 This is some of the best corn soup I’ve ever had. I got a soup and sandwich combo, and my sandwich was the El Nino. The gal at the counter recommended it and said that it was quite popular. 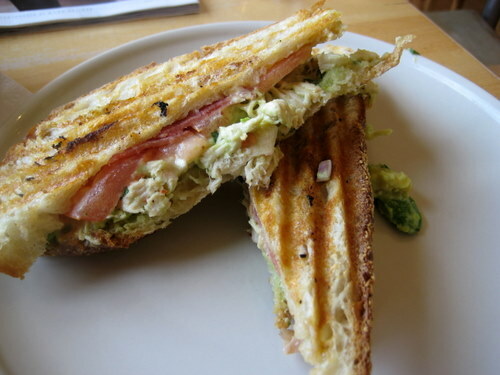 This beauty has avocado chicken salad, tomatoes, and bacon, with chipotle remoulade and is grilled on a panini press. Again, just like the soup, this was a total winner. Avocado chicken salad? Give me more! Every single ingredient in this worked well together. It was a fantastic sandwich! This place is adorable. If I was a local I’d be a regular!